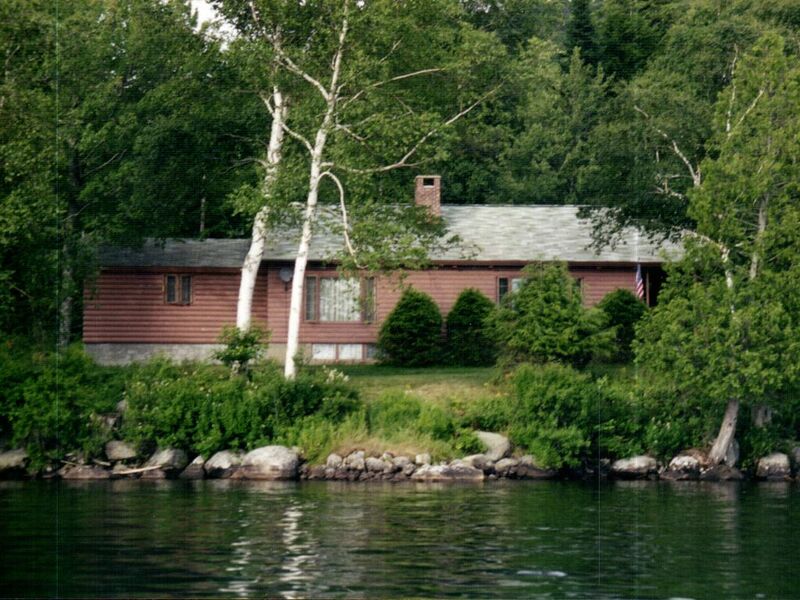 This lakefront home is located on the shores of Blue Mountain Lake in the central region of the Adirondacks. Great view looking down the lake from the front lawn, porch, or living room picture window. Single-level house, handicapped accessible, has a fireplace in the living room, full kitchen, large dining table, satellite TV, 2 bedrooms, including master bedroom with lake view, 2 full baths, charcoal grill, fire pit, boat dock, and private sandy beach. Located minutes from the Adirondack Museum, close to Indian Lake, Long Lake, and Raquette Lake. This is a well-kept property, just feet from beautiful Blue Mountain Lake. The kitchen is well-equipped, and we four were quite comfortable, whether sitting in the rocking chairs by the window, or relaxing in the Adirondack chairs outside. The kayaking is great, and there's a dock just down the path toward what appears to be an adjoining property (it took us a minute to find it). Although the Wifi wasn't working while we were there, cell signal was generally available. It's a peaceful, cozy way to spend a little (or a lot) of time. Just lovely. Beautiful views from outside and from inside the roomy house. Close to several trailheads, and exceptional book collection in the great room for the day's end. Great cabin even when the weather doesn't cooperate! As lifetime visitors to Blue Mountain Lake, my siblings and I were prepared for less-than-desirable weather! The sunshine that greeted us and allowed us to toast our return on the lovely lawn, quickly turned cooler and rainier. However, enjoying coffee from rocking chairs in front of the bay window, or from an Adirondack chair on the covered porch, still made this a great place to be! It is up-to-date, has tons of storage, good books to curl up with and read, and a very well-equipped kitchen. Yes, we had to lug along plenty of food because there are no nearby groceries, and yes, we brought most of our own linens just to ease the clean-up before a 7-hour drive home, but we would definitely stay here again. This is a great place to truly relax and disconnect from day to day life. The house is well maintained and truly represents the Adirondack style architecture with beautiful post & beam construction in the living room and an incredible view of Blue Mountain Lake from large picture windows located in the living room and master bed room. While it has all the modern conveniences like DirecTV, washer & dryer, dish washer, and microwave, it still provides a quiet secluded location to just read a book or to listen call of the Loons while relaxing in Adirondack chairs overlooking the lake. Speaking of calls, AT&T & Verizon both have coverage for those that need to reconnect. We found the cottage very nice and well equipped. Found the weekend enjoyable after our initial arrival. Beautifully located and superbly equipped. When you have a beautiful location like Blue Mt. Lake, how can you go wrong? This home is well appointed with every conceivable amenity. We were very comfortable and able to relax. Located in the central Adirondacks, minutes from the Adirondack Museum. Close to Indian Lake, Long Lake, and Raquette Lake. Dinner cruising, whitewater rafting, and horseback riding all close by.